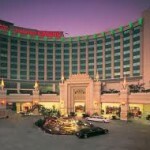 The much anticipated annual California State Poker Championship Main Event schedule has just been released. For the year 2011, the tournament will start on May 4, with the Main event commencing on May 20 and will end on May 22, when the 2011 California State Poker Champion will be declared. The California State Poker Championship Main Event will, of course, be held at the Commerce Casino located in the greater Los Angeles area. 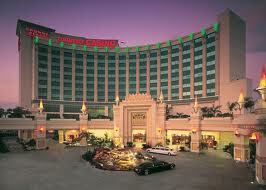 Ever since the California State Poker Championship started, it has attracted numerous poker enthusiasts. This annual tournament has drawn many of the best poker gamers from the West. This year’s event promises to draw not only the best from the west, but the best poker players all over the globe. a $400,000 guarantee at a buy-in of just $220. Meanwhile, the 3-day California State Poker Championship Main Event with a buy-in of $2,575 is expected to see top professional poker players as well as locals who have won their way into the Championship event. The 19-day affair may prove to be quite interesting with All-In or Fold and Reverse Turbo included.